Fake saffron looks similar to real saffron and coloured to copy the real item due to the high price such a black market arises. Corn husk is usually one of the substances used to scam buyers & can fool most people, especially tourists who may not be experienced saffron buyers. 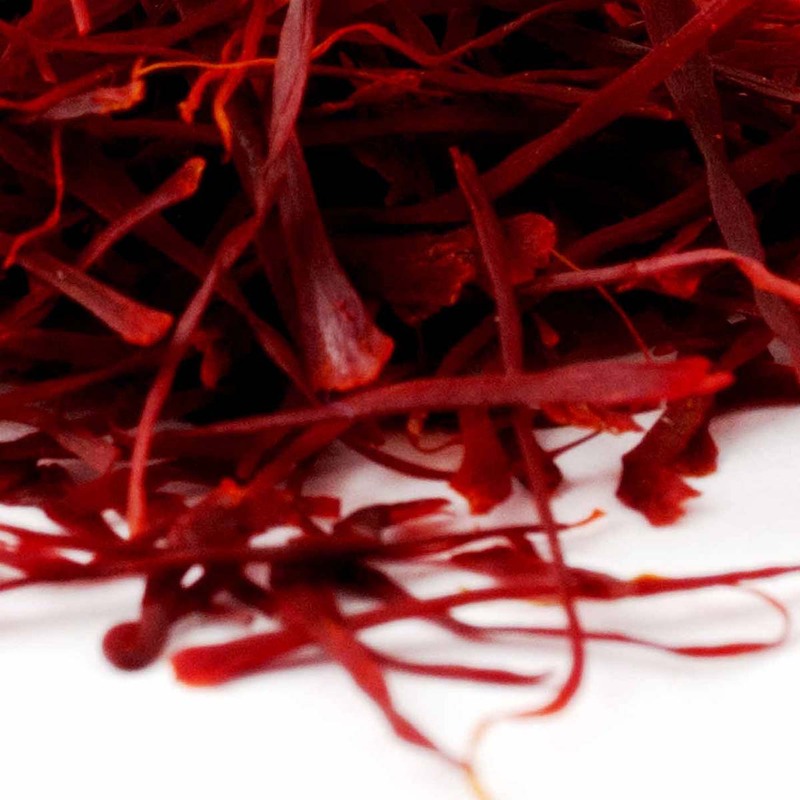 Saffron has a very unique and distinct scent and flavor that cannot be duplicated in counterfeit product. It is only the physical appearance that looks to be real saffron so they can fool customers. If you put a thread of real saffron in your mouth and it feels sweet, then it’s fake!Saffron threads when placed in cold water for a few minutes will colour the water and come out still looking like the original saffron thread. If the colour washes out and the thread when taken out has faded or completely lost its colour, then it’ is not real. We import direct from Madagascar gourmet grade real vanilla pods and offer a wide range of other organic spices such as Guatemalan green cardamom, Sri Lankan cinnamon sticks, Indian ginger powder, organic saffron tea and saffron sugar candy & more treats from around the globe. We are always extending our range plus our delightful gifts section with many new exciting brands like Bulgarian artisan honey producer Wild Honey of Bulgaria who won Great Taste Gold Star Award 2017 for their incredibly delicious raw honeydew made in Strandtja mountain oak forests in Bulgaria.